As a man with a shotgun stalked his newspaper's office, a new sports intern hid under a desk with another staffer and quietly called 911, thinking that if he spoke to police, he would be shot next. Anthony Messenger had only just started working at The Capital Gazette when a gunman broke in to "unleash hell on the office," as the college senior put it during an interview with NBC's "Today" show Friday. 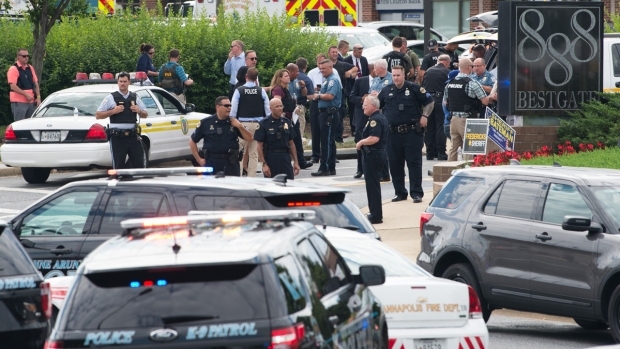 Messenger said he was "still trying to decompress" after five people were killed and two others injured in the shooting in Annapolis, Maryland. The gunman passed by Messenger and his colleague, Gazette staff writer Selene San Felice, giving him a chance to call police back. The line was busy, so he texted a friend asking for help in calling 911. And then he gave San Felice his phone, so she could let loved ones know the agony they were going through. "In that moment I thought I was going to die," Messenger said. "So, the only thing I could think– the only solace in that moment was, here, Selene you can have my phone. Text whoever you need to text." 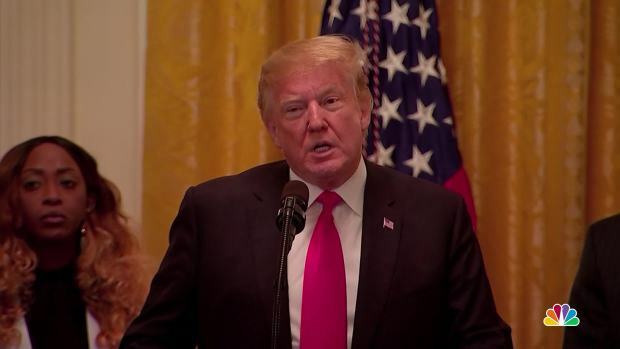 At a Friday press conference, President Donald Trump condemned Thursday's attack on The Capital Gazette newsroom in Annapolis, Maryland. She was the one who tweeted, from Messenger's account, "Active shooter 888 Bestgate please help us," which initially tipped off the world that the shooting was taking place, Messenger said. San Felice had covered the Pulse nightclub massacre in Orlando, she told CNN Thursday night: "I remember being so upset hearing about the victims who were texting their families, and there I was, sitting under a desk texting my parents, telling them I loved them." Messenger and San Felice survived the shooting, allegedly committed by Jarrod Ramos, who was charged with five counts of first-degree murder. It wasn't immediately clear if he had an attorney; he was being arraigned Friday morning. 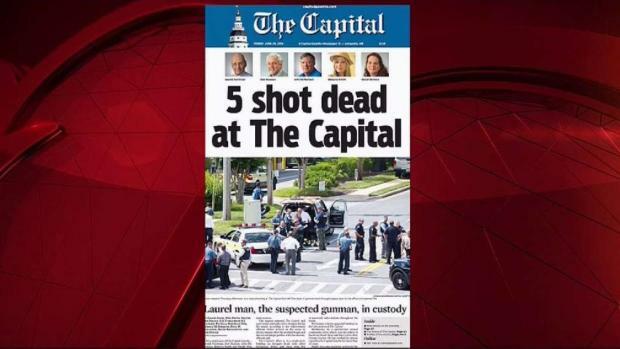 The 38-year-old had sued The Capital Gazette for defamation in 2012 over a column about his guilty plea to criminal harassment the year before. Ramos' case was dismissed and he lost an appeal. Messenger said it wasn't immediately clear to him or other survivors who the shooter was and he wasn't aware of Ramos' history with the newspaper. He thought the first sound he heard was fireworks, then heard a second explosion, but didn't realize that the shooting was intentional until he and San Felice tried to flee the office through a back door, only to find it was jammed or locked. "We see these things on the news all the time, so it's not—unfortunately we are kind of desensitized to them," Messenger said. "I quickly recognized, oh, this is a malicious situation. He is here to do harm." Police said they responded to the shooting within 60 seconds and took the gunman into custody without exchanging gunfire. After the danger was clear and they were able to leave, Messenger said, "it was chaos. The office was kind of in shambles." He passed two bodies of his colleagues — he tried not to look, but when he did it "it was sickening," he said. He said his heart is going out to the families and friends of the victims and that he's not sure if he'll complete the internship. "That's never something that crossed my mind when I took the internship, that I might see people die — people that were nothing but welcoming and comforting to me," Messenger said.